Striking and unique describes The Empire Bookcase perfectly. 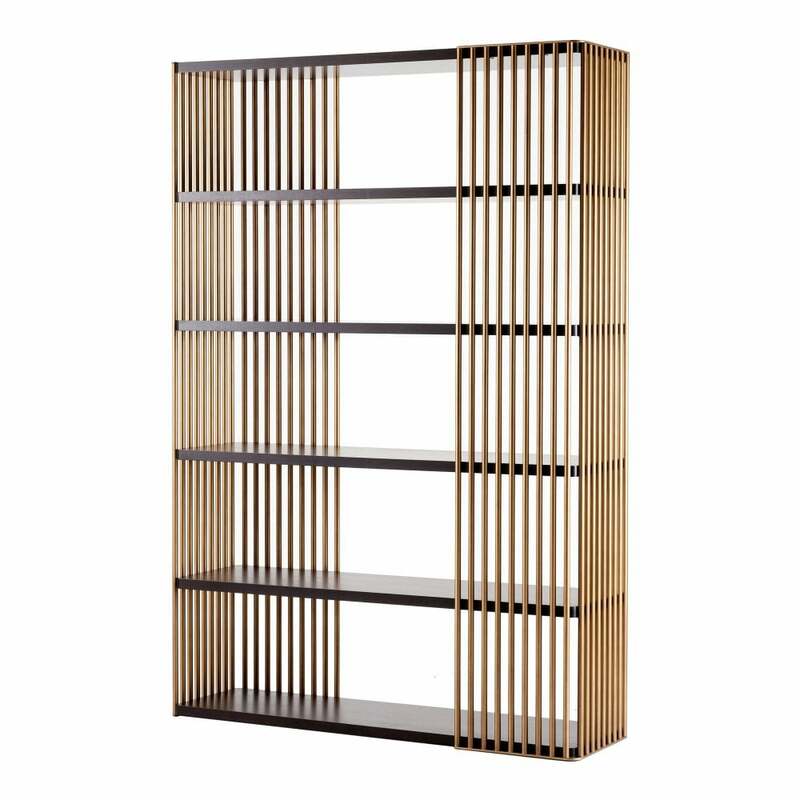 With 6 fixed shelves in beautiful, rich American walnut, encased in an antique bronzed finished metal frame of stunning vertical lines in formation. This is not your average bookcase, The Empire has an identity in it's own right, standing strong as a prominent design piece as well as providing maximum storage for your desired reading, perfectly placed cherished photos or objet d'art. Certainly a talking point and centre piece, this is stunning union of design and function.